Includes interviews with David Hatcher Childress, Giorgio Tsoukalos, Christopher Dunn, Philip Coppens, Graham Hancock; Jason Martell and many others. Includes all five 2-hour episodes. 1: The Evidence 2: The Visitors. 3: The Mission 4: Closer Encounters. 5: The Return. Bonus material. 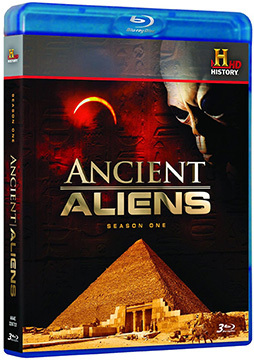 Call us about other Ancient Alien DVDs on Blue Ray!